Valid passport. Except for stateless persons and those from countries with which the Philippines has no diplomatic relations, all visitors may enter the country without visas and may stay for 21 days provided they have tickets for onward journey. Holders of Hong Kong and Taiwan passports must have special permits. Visas and special permits may be obtained from Philippine embassies and consulates. Money changers will be able to give you the official guiding rates and are located at the airport, local banks, and other authorized foreign exchange dealers in commercial establishments. March to May is hot and dry. June to October is rainy. November to February is cool. Average temperatures: 78oF/25oC to 90oF/32oC; humidity: 77%. Filipino is the national language. English is the business language and spoken widely. Approximately 111 languages and dialects are spoken in the country. Mon Jul 03 11:23:05 2006. The Philippines is readily accessible from the travel capital of the world. Traveling time to Manila from Hongkong is an hour and 50 minutes; Singapore 3 hours and 10 minutes; Bangkok, 3 hours and 50 minutes, Tokyo, 4 hours and 15 minutes; Sydney, 10 hours and 20 minutes; London, 20 hours and 45 minutes; Paris, 21 hours and 15 minutes; Frankfurt, 19 hours and 40 minutes; San Francisco, 20 hours and 15 minutes; Los Angeles, 15 hours ans 20 minutes; and New York, 20 hours and 20 minutes. The international airports have adequate traveler facilities: tourist information & assistance counters, hotel & travel agency representatives, banks & ATMs, postal service, telephone booths, and medical clinics, among others. Baggage carts and porter services are available for free. The airports are handicapped-friendly. Wheelchairs are available on request from the airline ground staff. Visitors are advised to fill in the Baggage Declaration Form before disembarking to facilitate Customs examination. Visitors carrying more than US$ 3,000 are to declare the amount at the Central Bank of the Philippines counter situated at the Customs area. Foreign currency taken out upon departure must not exceed the amount brought in. Departing passengers are not allowed to bring out more than PhP 1,000 in local currency. Metered and fixed rate taxis are widely available in key cities nationwide. Jeepneys and buses are inexpensive ways of getting around most places. In Metro Manila the fastest way of commuting is via the railway system. LRT connects Monumento on the north to Baclaran on the south. MRT traverses the length of EDSA from North Avenue to Taft Avenue. Hospitals are listed in the "Yellow Pages" of the local telephone directory. Health centers provide emergency medical attention in remote towns and cities. De luxe, standard, economy, pension-type, and special interest accommodations are available. Private and government offices are open either from 8:00 a.m. to 5:00 p.m. or from 9:00 a.m. to 6:00 p.m. Most commercial establishments are open from 10:00 a.m. to 8:00 p.m. daily. Banks are open from 9:00 a.m. to 3:00 p.m., Mondays to Fridays, with automated teller machines (ATM) operating 24 hours. Filipino food is an exotic, tasteful blend of Oriental, European, and American culinary influences. There is a wide variety of fresh seafood and delectable fruits. First class restaurants offer gourmet specialties as well as Filipino cuisine. 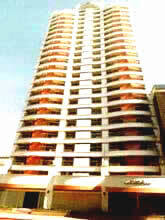 Metro Manila is the center of entertainment and cultural activities. The premier venue for the performing arts is the Cultural Center of the Philippines. The hubs of nightlife activities are the Remedios Circle in Malate, Ayala Center and The Fort at Bonifacio Global City in Makati, Timog and Tomas Morato Avenues in Quezon City, and Eastwood in Libis, Quezon City. For visitors who want to try their luck at the gaming tables, there are casinos in Metro Manila and in the cities of Angeles, Olongapo, Tagaytay, Cebu, Davao, Bacolod, and Laoag. Light, casual clothes are recommended. Warmer garments are needed for mountain regions. When visiting churches and temples, propriety dictates that shorts and scanty clothing be avoided. Formal occasions require dinner jackets and ties (or the Philippine barong tagalog) for men and cocktail dresses or long gowns for women. Visitors can choose from an exciting selection of great buys at reasonable prices: South Sea pearls, handwoven cloths, embroidered fineries, terra-cota, porcelain, coral and mother-of-pearl home accessories, among others. 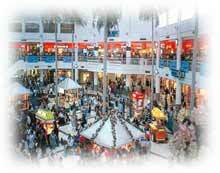 Big malls are located in Manila, Makati, and EDSA, while handicraft, antique, and curio shops abound at the Ermita District in Manila. Duty-Free Philippines near the NAIA is the country's largest duty-free outlet. Tipping is expected for many services. The standard practice is 10% of the total bill. Tipping is optional on bills that already include a 10% service charge. Most national dailies are in English. There are 7 national television stations. which broadcast mainly in Filipino. Cable TV is available as well. 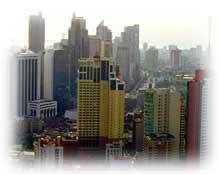 Manila, the pioneer convention city in Asia, has played host to a number of prestigious international events. 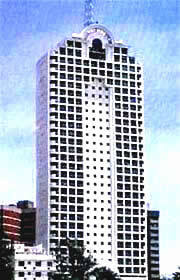 The Philippine International Convention Center and World Trade Center are some of the biggest venues. Out-of-town hotels and resorts are alternative sites. Tour packages, from day trips to five-day programs, are special ways of discovering the Philippines and its wealth of culture.